WHO OF YOU LOVE TO SCRAP? 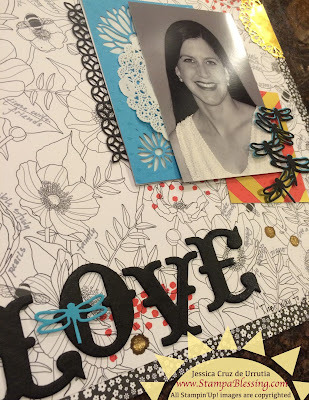 Are you a Project Life girl or a Traditional or maybe a Mini-album crafter. Wait....you are the occasional scrapbooker. Yikes! Or the Hoarder Scrapbooker. Haha! 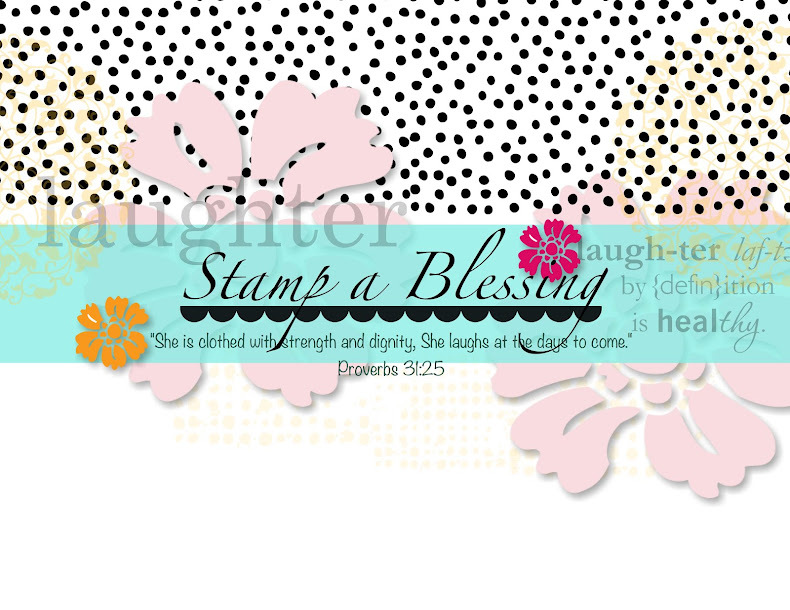 I have given myself permission to scrap some pages in the last weeks and want to share with you. 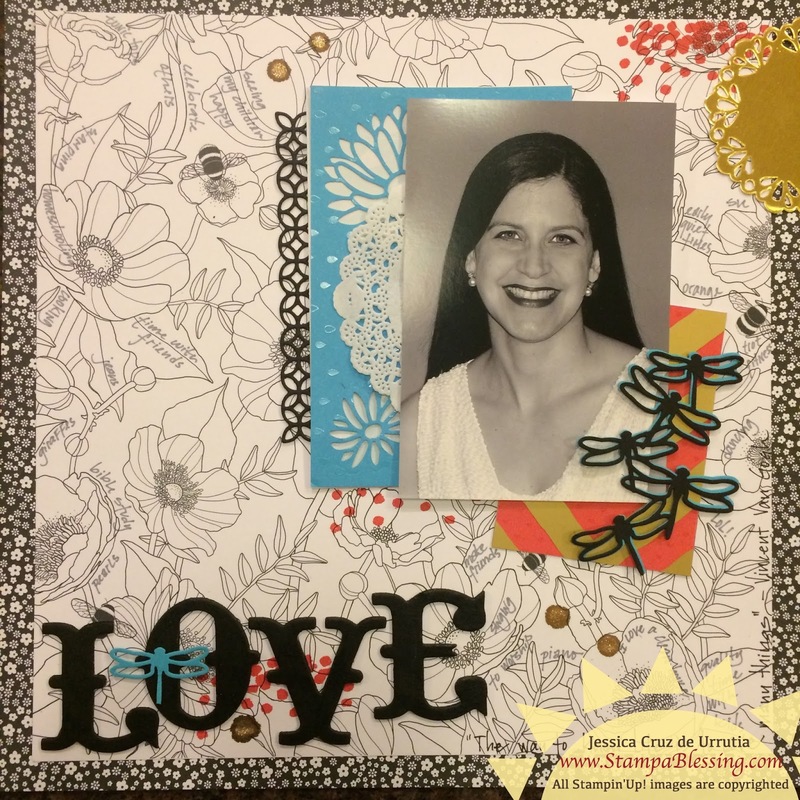 Not long ago I joined a group on Facebook called Bash your Scrapbooking Stash. It is a group dedicated to scrapbooking lovers who maybe have a bunch of materials at home but are not using them. They do fun challenges and more. Colored my chipboard letters, bought back in 2008 I think it was, with a black sharpie. As one who loved hidden journaling this beautiful Sale-a-bration DSP, Inside the Lines, allows me to camouflage my journaling perfectly. 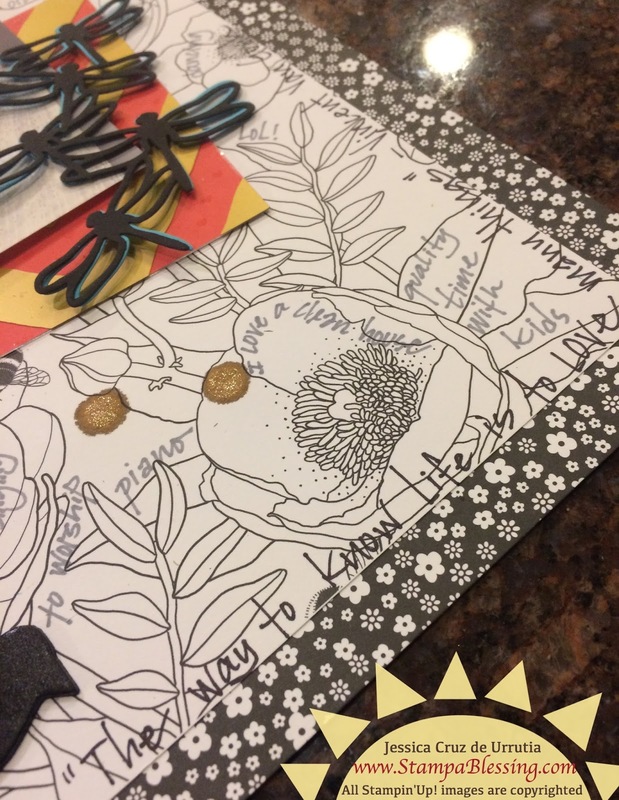 I included some retired Project Life cards, chipboard, glitter made with my Wink of Stella, flowers and more. The challenge below inspired me to talk a bit about things I love doing or simply having in my life. I have always consider myself one to love many things in life. So the phrase I wrote on the bottom of my page was "The way to know life is to love many things." God has given me the opportunity of enjoy many things in life I am grateful. Have you ever made a layout about you? Someday I want my babies to read and know what things I loved and the full life I live in Christ Jesus. That inspired me! Is not a lot I KNOW, but I am on a mission and ENJOYING it while getting it done. As I brew this Game On word in my heart the verse 1 Peter 1:13 came to mind. "Prepare your minds for action, be self controlled. Put your hope fully in the grace given you when Jesus Christ is revealed." I pray today He gives you the determination to ACT by faith, the confidence to control YOURSELF, your sayings, your desires, your responses. Also the happy anticipation of good things from God. Not my sayings, YOUR sayings Lord be done.